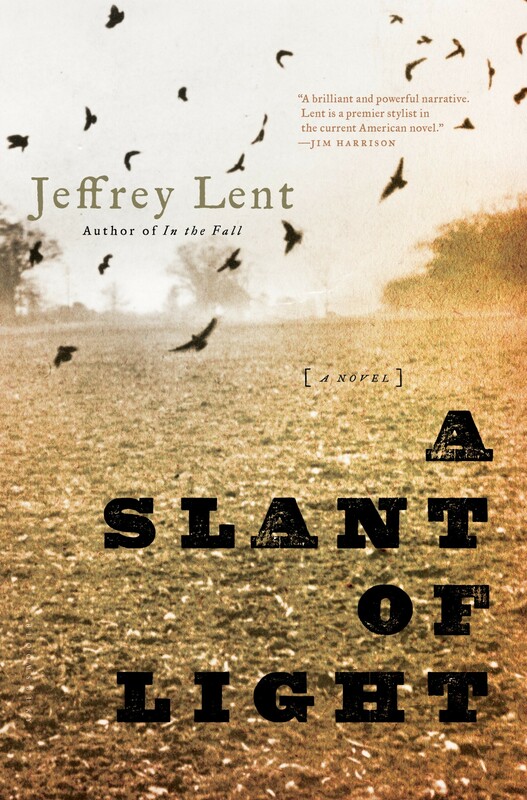 In Jeffrey Lent’s new novel “A Slant of Light,” Union soldier Malcolm Hopeton comes home to his farm in western New York to discover that his wife has run off with his hired hand. What he does in a fit of rage propels him to flee — and sets in motion a somewhat unconventional narrative. The book didn’t go where I expected it to (no modern-style courtroom drama), and it didn’t end where I expected it to either. Lent often writes in incomplete sentences, in fragments and impressions, and the dialogue was sometimes a mix of old-fashioned formal and more modern (to my ear at least). But somehow it all worked. When I got to the end, I realized the book was really three interlocking stories of men and women struggling to understand and be understood by each other — to reach beyond the conventions of the times, which had very proscribed roles for women and men despite the close quarters in which they often lived and worked. The book is also a loving, detailed portrait of farm life in the late 1800s. I went to a local bookstore to hear Lent read from and discuss the book, and his own story is fascinating. He grew up in Vermont and New York, where his father farmed with horse-drawn equipment well past the time everyone else had switched to gas-powered machinery. Lent said the old equipment typically came with a handful of tools that could fix just about anything that went wrong. After a breakdown, his father would be back on his way in less time than it took his neighbors to call a mechanic to come fix their fancy new tractor. His father also bred mules, which he sold to Amish farmers. (In reference to mules’ reputation for stubbornness, Lent said they will do whatever you ask of them, until you ask them to do something stupid.) And his father sold old-school farming equipment to the Amish. Lent said he spent many hours as a boy listening to the stories those farmers told. Lent’s knowledge of horses, mules, and historical farming tools and practices is put to good use in the book, which is also full of rich detail about the natural surroundings, the food people ate, the weather and how people dressed. Beyond the hard work of farming, the household chores were daunting. The labor involved in pickling vegetables or canning fruit in the days before electric stoves and pressure cookers was overwhelming — and who knew you needed to scrub and wax the bricks of a cooking hearth? In other words, reading the book is an immersive experience — one that made a deep impression on me, as the best historical fiction should.